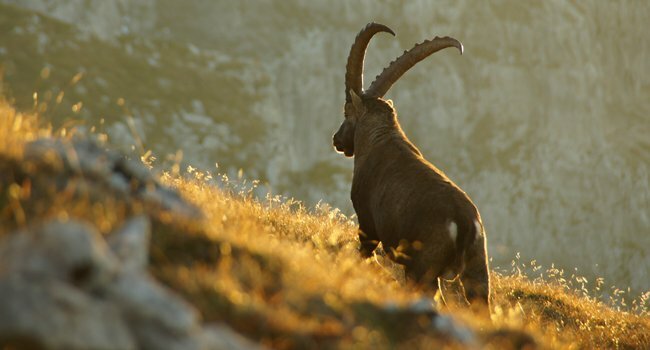 While the slaughter of 350 goats in the last two years – including many healthy animals – failed to reduce the presence of brucellosis in this mountain range, the Prefect of Haute-Savoie wants to kill anopther 200-250 ibexes, leaving only a few dozen animals in the Bargy Mountains (Haute Saoie or High-Savoy, France). Yet other solutions exist. Brucellosis is a serious disease, therefore the treatment of rare human cases requires antibiotics treatment. It also carries a moral and economic damage to some infected farms and to their production. It should be understood that steps must be taken to protect livestock and to eradicate the infection. But to achieve this, mass slaughter of healthy ibexes is a mistake and an aberration. While the slaughter of 350 goats in the last two years – including many perfectly healthy animals – did not reduce the disease rate of infection, the prefect of the Haute Savoie wants to reoffend the killing for all ibexes not tested in 2015, thus leaving only a few dozen animals in the whole Bargy range. While he speaks of a “compromise”, in reality it is a massive and indiscriminate slaughter. To prevent this massacre, the “associations are suing the prefectural slaughter decision. Studies conducted by experts have shown that the mass killing, fast and undiscriminated, far from reducing the disease, has the effect of increasing the risk by provoking the dispersal of animals, the next probable target being the Aravis range. Such a scattering was noted around the world where this type of drastic measure was applied on wildlife: it did not work elsewhere, it will not work here, despite what the prefect of the Haute-Savoie says. According to our counts, there are currently about 400 goats on the massif, over sixty of them, born in the 2015 summer. Among these animals, almost two-thirds are perfectly healthy, about 300 animals, not affectd by brucellosis. It is quite possible to preserve them while containing the brucellosis outbreak, that’s what we fight for. 6. We know how to distinguish healthy from ill ibexes. Thanks to the in situ a highly reliable brucellosis test of, ONCFS agents have demonstrated that it is perfectly possible to identify infected animals, those are euthanized on site by veterinarians. As there there is no way to cure the infected goats, the associations are not opposed to this practice. However, we oppose to the slaughter of healthy animals. Experts say the problem can not be treated in one year, but instead must be managed over several years, with a set of various treatments. To obtain a consistent brucellosis reduction in the medium and long term range , the scientists proposed scenario is to combine a gradual removal of seropositive animals, over a few years, and do preventive vaccination of the healthy animals. According to scientists, this immunization option would greatly reduce the risk of seronegative animals contamination, therefore it is possible to envisage a sustainable risk reduction of the ibex population of the Bargy range. Finally, do not forget that the ibex is also an economic asset to the extent that it is a major tourist attraction for our mountain territory.